13025 NW 13th St, Pembroke Pines, FL.| MLS# A10611437 | Susan J Penn l Best Agent l Buy & Sell South Florida Homes! 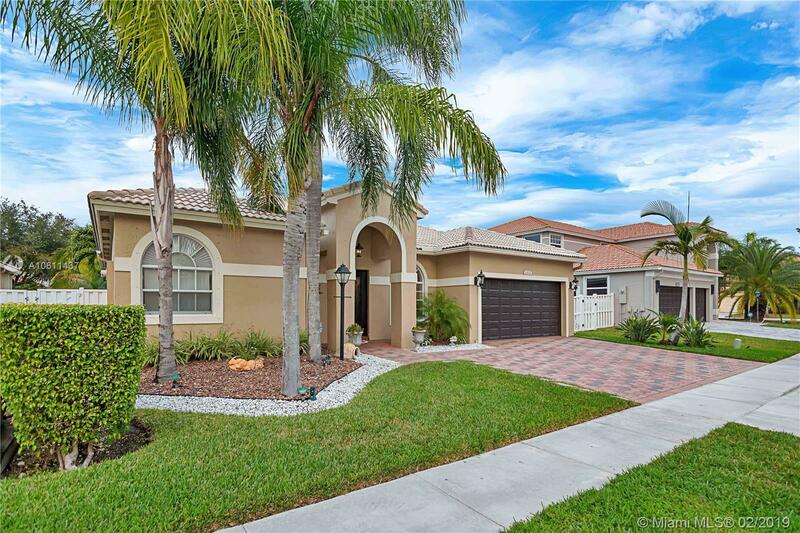 Spectacular 4 bedroom 3 full bath 2 car garage home located in Exclusive Community of Pembroke Falls. Open floor plan w/ upgraded kitchen, granite tops, stainless steel appliances and a cooking island. Master bedroom over looks the stunning landscape, the bathroom has a private toilet enclosure for most obvious benefit. Home features custom drapes, rods and blinds on the windows and a custom made partial glass front door. Directions: Sheridan Street To Pembroke Falls Blvd., Continue Through Main Gate South To Laguna Point And Go East, Then First Right, Follow Street To House On The Left.